Many hundreds pass through Israeli jails each year charged with throwing stones. With conviction rates in Israeli military courts of more than 99 percent, the guilt and incarceration of such children is a foregone conclusion. 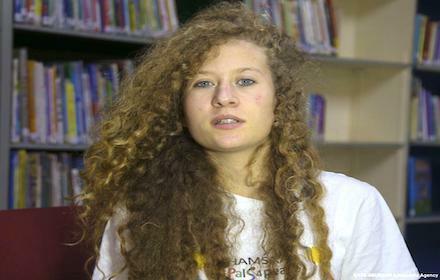 The video of Ahed screened repeatedly on Israeli TV, has threatened to upturn Israel’s self-image as David fighting an Arab Goliath. This explains the toxic outrage and indignation that has gripped Israel since the video aired. According to Israeli commentator Gideon Levy, Ahed’s case demonstrates that Israelis deny Palestinians the right not only to use rockets, guns, knives or stones but even to what he mockingly terms an “uprising of slappings”.